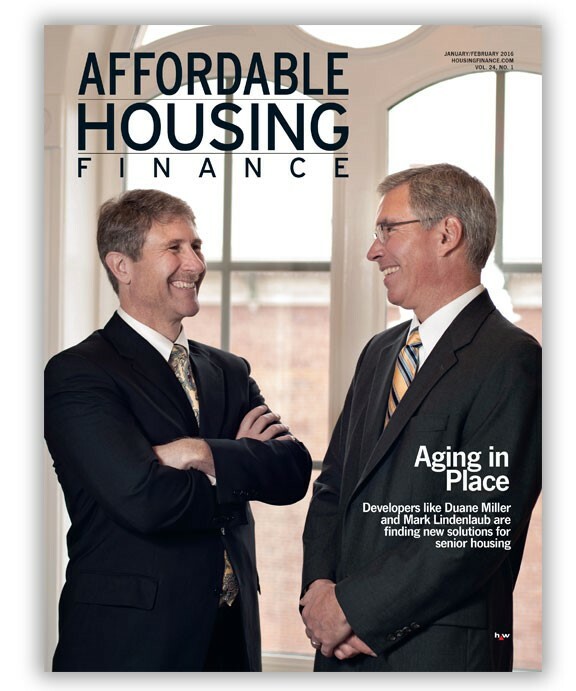 Historic Greensburg Square and Flaherty & Collins Properties Vice President, Community & Asset Management Duane Miller are featured in the latest issue of Affordable Housing Finance. Historic Greensburg Square Apartments is a sign of the future. 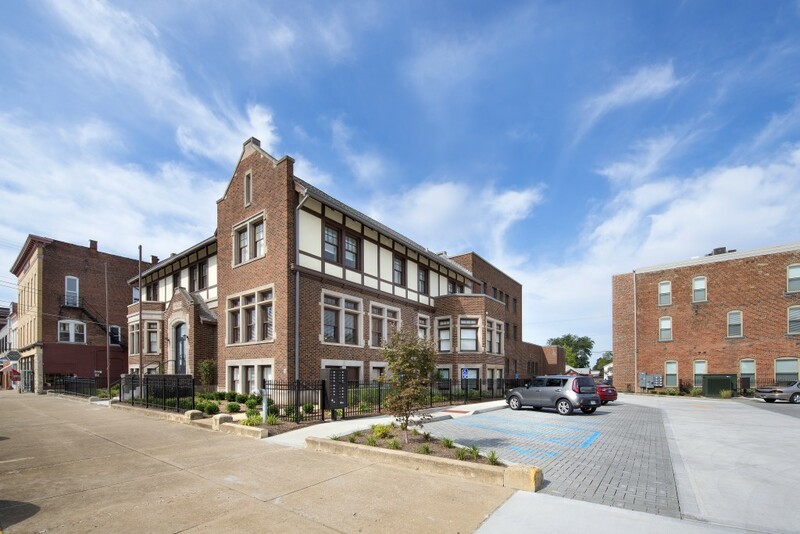 Located in the city of Greensburg, Ind., the new property provides 40 affordable apartments for ­seniors at a time when the elderly population is booming nationwide. The estimates are staggering as the mighty baby boom generation ages. By 2030, more than 70 million Americans will be 65 or older, twice the number in 2000, according to the Census Bureau. The coming “gray wave” will surely increase the need for affordable seniors housing. To develop Historic Greensburg Square Apartments, developers Flaherty & Collins Properties and Thrive Alliance renewed four derelict buildings in the city’s courthouse square. The move is adding vitality to the heart of downtown and providing valuable housing. “Aging in place” is the ability of people to live in their long-term homes and communities safely, comfortably, and independently for as long as possible, regardless of age, income level, or physical ability. The Indiana Housing and Community Development Authority (IHCDA) is among the state housing finance agencies thinking hard about supporting seniors housing in a way that helps it meet these criteria. As part of this effort, IHCDA recently completed an aging-in-place study by interviewing senior residents and property managers. Aging in place usually focuses on adapting a house or apartment to meet residents’ needs, but the IHCDA study found that a property’s location plays a big role in creating a feeling of being at home, says Jacob Sipe, IHCDA’s executive director. “The location meant they had access to services, access to retail, access to where they can do their banking, and access to the doctor’s office,” he says. The study urges IHCDA to embrace the importance of place by adopting a more comprehensive view of “aging in community” and incentivizing desirable locations. The findings led to several changes in the agency’s 2016–2017 qualified allocation plan (QAP) for reserving low-income housing tax credits (LIHTCs). IHCDA sets aside 10% of its housing credits for elderly housing. In the new QAP, the highest-scoring category is “desirable sites.” This includes being close to retail, services, and civic and community facilities. The agency is reviewing 16 applications and expects to make its LIHTC reservations in February.